LONG BEACH, Calif., 2016-Jun-27 — /EPR Network/ — The Los Angeles folk-rock group known as Desert Sparrow have released their latest EP, “City of Dreams.” The album contains three original tracks for an approximate total listening time of 15 minutes. It has been proudly published as an independent release outside the direction of the corporate music industry. 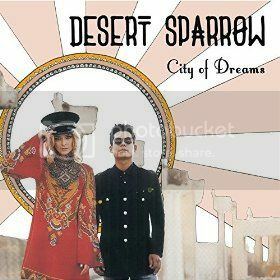 Sonorous, rural, and with roots wrapped deep in the rock ‘n’ roll tradition, “City of Dreams” from Desert Sparrow is an EP sure to resonate with fans of many music genres.